On Friday I revealed the gorgeous cover for this year’s Christmas’s novella from the Another Cup of…series. Today, I’m delighted to be able to be able to share the blurb! Those of you thinking that are spot on- and I am here to tell you that, organising just one literary festival gave rise to enough story material to last me the rest of my life, let alone one novella length romance! It isn’t long until myself and my friends, Kerstin Muggeridge and Susie Griggs (to whom Christmas at the Castle is dedicated), start work on Tiverton Literary Festival 2016…I wonder what I might be writing after that one? 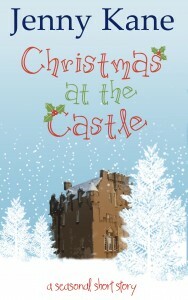 I’ll be back with more info about Christmas at the Castle nearer Christmas! !